Photography is all about capturing a moment in time. When it comes to landscape photography, however, it’s not just any moment….it should be the most flattering moment possible for the scene in question. Whether that entails a thick layer of fog, a magnificent sunrise, or unusual weather, mother nature is the true artist. My camera is simply a tool with which to capture the moment. Setting between the arms of a large saguaro cactus, the disappearing sun invites many of the desert's creatures to emerge. Saguaro NP West, AZ, USA. Following winter, the moisture from melting snow mixes with the spring rains to form these seasonal wetlands. Vernal ponds offer invaluable breeding habitat for many species of amphibians. Photo taken in Bald Eagle State Forest, PA, USA. "Jumping" cholla cactus, with an organ pipe and saguaros in the background. The setting sun illuminates the distant mountains in this perfect desert sunset. Photographed at Organ Pipe National Monument, AZ, USA. There's a certain magic only experienced by those willing to awaken before the crack of dawn. This sunrise seemed to capture the essence of rural Pennsylvania. Photographed at Montour Preserve Wildlife Refuge, PA, USA. This thick, early winter fog gave the forest a very mysterious appearance. Photographed in Winfield, PA, USA. Despite the frigid winter temperatures of the Northeastern US, there is still much beauty to be discovered. 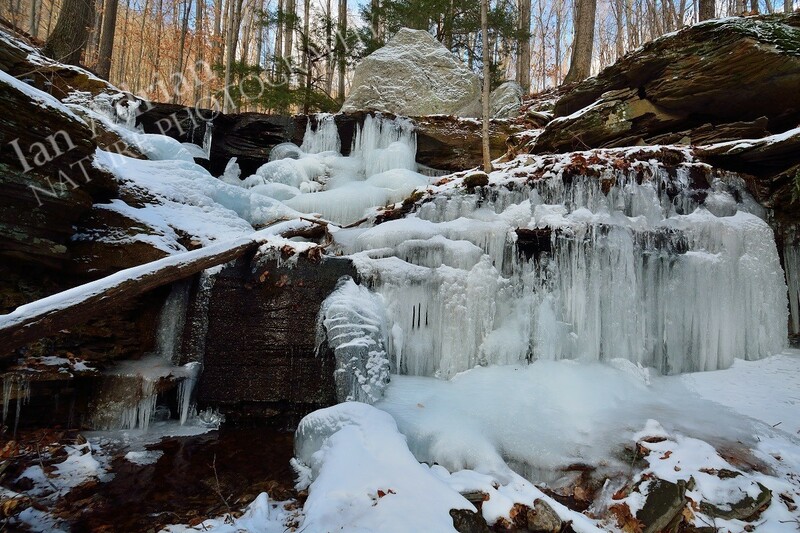 These small, frozen waterfalls were photographed in Loyalsock State Forest, PA, USA. When certain conditions are met, the desert will briefly become engulfed by poppy flowers. This scene offers a nice look at the poppies, cloaked in the golden hour's spectacular light! Saguaro National Park West.